For those commercial environments where ducting, air conditioning elements, plumbing and other pipework are visible, suspended ceilings provide a cost-effective and attractive solution. 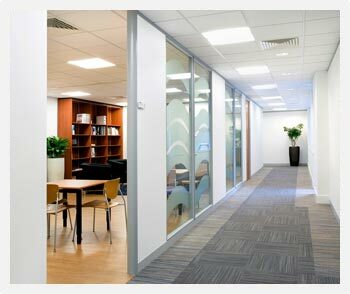 Here at Stodec Products, we supply a range of suspended ceiling options, available in a variety of materials, including wood, metal, mineral and glass. Suspended ceilings offer a number of advantages, from keeping HVAC equipment quiet during working hours to allowing for the creation of attractive lighting effects. Floor coverings are ideal for protecting surfaces while also breaking up areas of the commercial environment into different sections. From carpet to tiling; hardwood to laminate and vinyl, Stodec’s selection of floor coverings provides the ideal solution for all requirements. We offer specialised rubber flooring and safety flooring for industrial environments, and can carry out either supply only or supply and fit services. Don’t hesitate to get in touch with Stodec Products today for more information. As part of our work on site we can remove existing ceiling or flooring installations & replace with new. Planning will include careful consideration of your current work activity to ensure that the new installation does not cause unnecessary disruption. We can work with your existing electrical or services providers or supply & install new lighting & wiring as required.